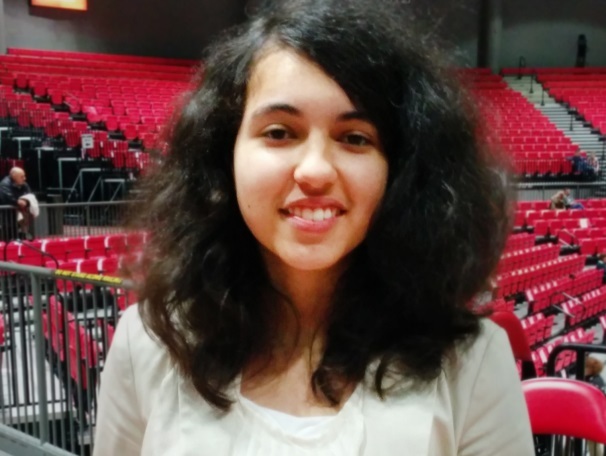 Naperville, Illinois, high school sophomore Sarah Sahibousidq is a 2014 Cooke Young Scholar and one of two recipients of the Cooke Foundation’s 2015 Matthew J. Quinn Youth Leadership Award, which she was awarded for developing and implementing a mentorship program and a summer enrichment program to assist students in elementary and middle school. Due to education budget cuts and a lack of summer science programs, Sarah also established a summer science camp for young people in her community to provide them with an opportunity to learn more about the subject. Sarah believes that all students should be able to participate in education programs regardless of their ability to pay, which is why she offers the programs free of charge. In order to pay for the materials for the science club, mentoring program, and other tutoring activities, Sarah uses the money she earns from babysitting. The monetary prize from the Quinn Youth Leadership Award will allow her to purchase material that will better assist the mentors and students who will continue to benefit from these programs. There’s a lot of support and excitement surrounding Sarah, and the 30 students who participated in the summer science camp are already asking about next summer.